Driving is never easy! Have you ever driven a car in harsh terrains such as mountains, forests or prairies? You know they do not have the same flat road as we do on the road, the road is difficult to drive, so you can hardly drive. Moreover, you will easily get lost because there is no specific direction. However, today’s Off The Road – OTR Open World Driving game will crush these fears and make you feel safe driving to the most dangerous places. Join this game and start exploring now! 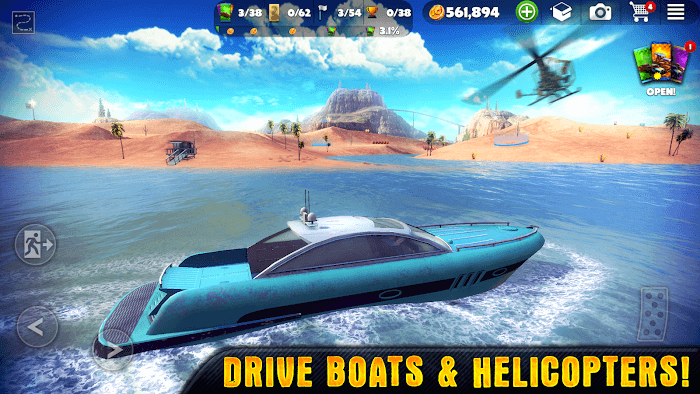 If you have ever played Racing in Car 2, Street Racing 3D or more prominent like Asphalt 8: Airborn, the way of Off The Road – OTR Open World Driving does not make it difficult for you. 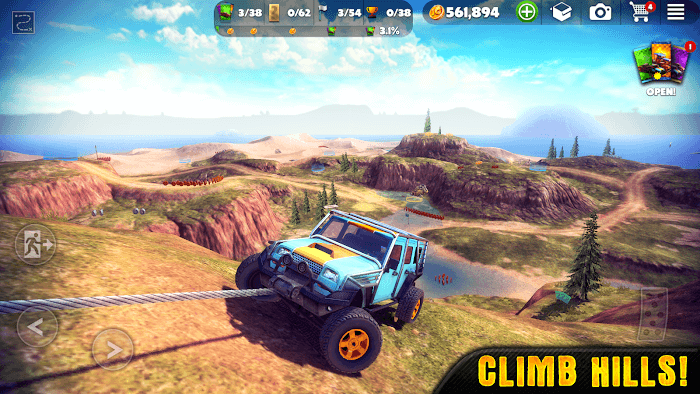 In this game, the player’s task is to drive to explore the most dangerous places in the world. This game is built with a large map system; players can find the whole day without worry limit. Initially, players are given a pickup truck to start their game. Then, on his journey, the player can collect the materials and items needed to upgrade the car better. However, the car system of this game is quite different from other racing games. 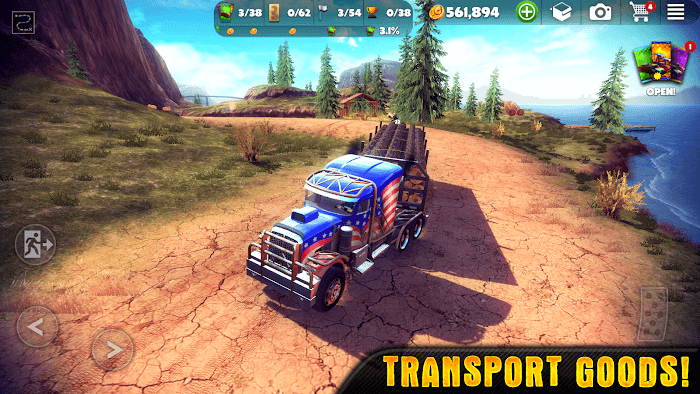 The pickup truck, with its high chassis and good grip, is designed to allow players to travel in rough terrain and have difficulty moving around like hills. Although it does not carry such well-known brands as Lamborghini, BMW or Audi, in terms of performance and durability, the cars in this game are not inferior to any car. On the control mechanism, a console appears on the screen for the player to use. The left side of the screen is adjusting the direction; the right is the brake and the accelerator. 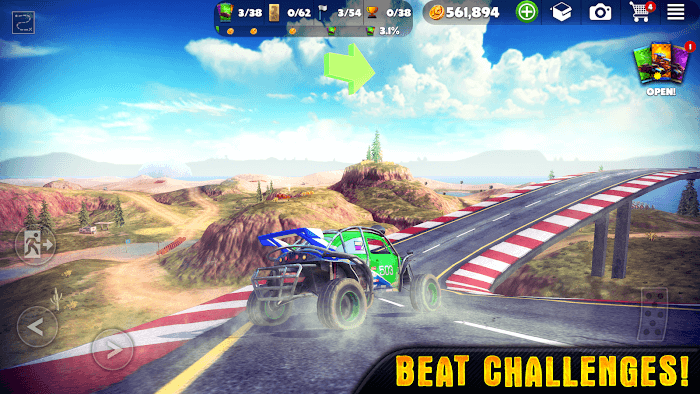 The terrain is quite difficult, the car is easy to break and overturn, so players need to manipulate these keys to be able to move smoothly flexibly. In the process of moving, on the way will appear many items such as equipment, repair equipment, money. Money spent on equipment and vehicle upgrades and equipment to help players repair cars. If you feel tired of your car, you can leave them and find another means of transportation: a boat or even a plane. The new journey always gives people the most exciting emotions. Now you are ready to explore the world of Off The Road – OTR Open World Driving MOD yet? Climb the mountains, explore the island or fly into the air and see the view from the distance with this game. Real 3D graphics will bring you to a whole new world, you not only be entertained but also immersed in the long journey full of experience. Download this game and discover it!